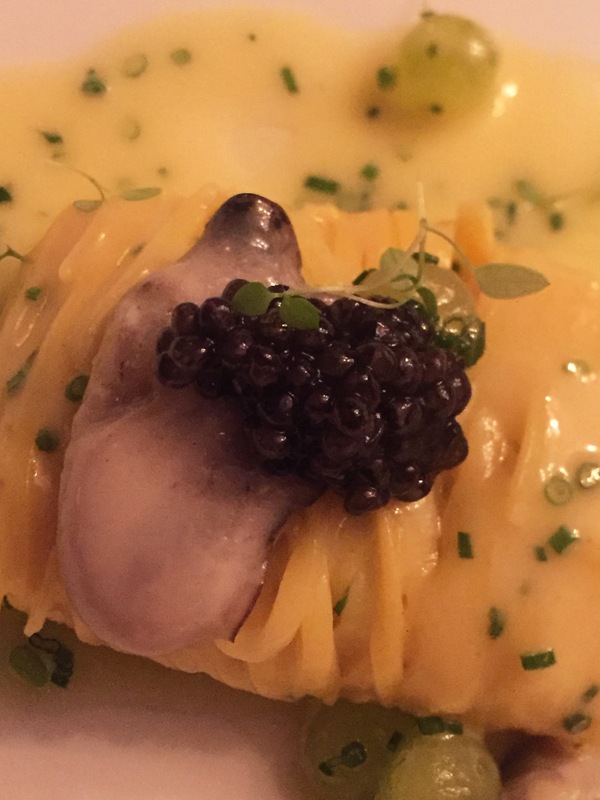 I recently met a Caviar ambassador at a Devaux champagne and caviar pairing dinner. I mean if that’s not a dream job, I don’t know what is – having to come up with champagne and caviar food pairings. Oh sure, I suppose there is a downside, but I haven’t thought of it yet! The two seemed to be intertwined in most people’s minds so is seems kind of obvious to showcase two high quality examples together. Champagne Devaux teamed up with W.G. White, purveyors of fine caviar since 1895, for a lux dinner at Ormer Mayfair. Champagne Devaux are based in the Côte des Bar, very close to the border with Burgundy. 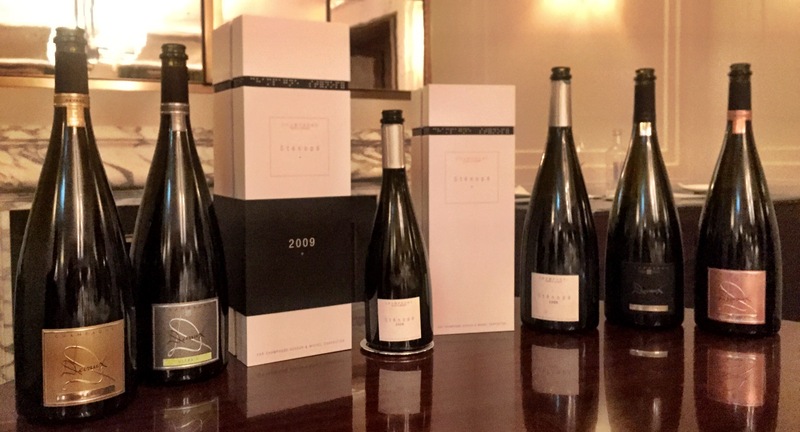 The house only uses Chardonnay and Pinot Noir as they feel that Meunier doesn’t fit with what they are trying to achieve, champagne that has complexity, freshness and elegance. They have 3 styles, stainless steel with and without malo and oak no malo. We were able to taste all 3 styles paired with the caviar. A few highlights from the evening…The Ultra D in magnum was paired with a Royal Bay Oyster and the Royal Oscietra caviar, the champagne had subtle candied notes while being very fresh on the palate, the caviar having slightly fruity flavours, if you can say that about fish eggs! 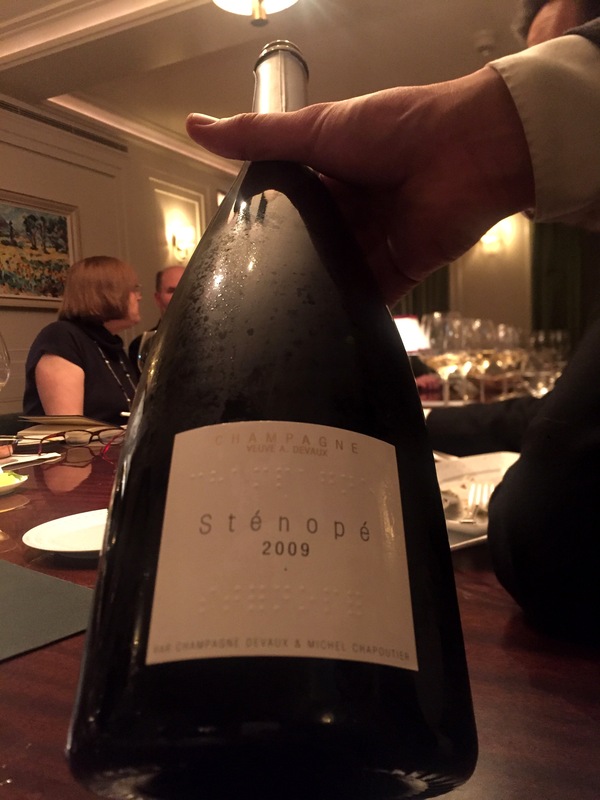 We also enjoyed the Stenope 2009 in magnum. The Stenope is made to a secret blend but we do know that there is oak fermentation involved. The ’09 was a challenging year but Devaux produced a wine that is rich and complex with toasty notes. 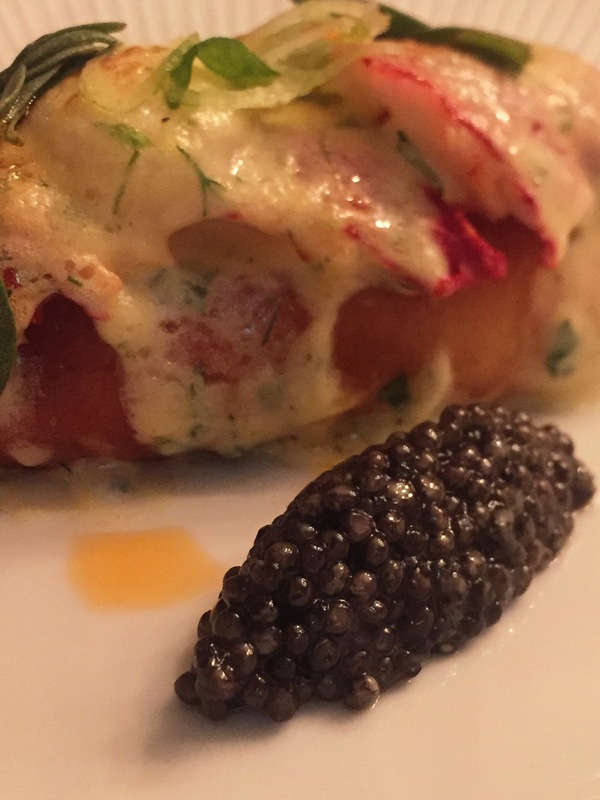 It was paired with 2 fish dishes, Jersey Lobster and fennel salad with Royal Siberian caviar and Turbot and cauliflower topped with Sevruga caviar. Sevruga is rather rare and the fish are scared of people (naturally) and they are difficult to raise. But the effort is well worth it. It has an earthy quality to it but with the two go so well together because the saltiness and umami quality of the caviar brings out the fruit in the champagne and tones down the oak, while it’s still there, the two seem to blend together seamlessly. The caviar from W.G. White is from Italy and China. Did you know that most fine caviar now comes from farms in Italy? It’s now illegal to catch wild sturgeon so farms are the way to go. W.G. prefer the farms in Italy as well because they say they are more hygienic and the water is cleaner than the farms in China. In Italy, the water comes from the Alps so it is pure mountain water. How do you know where your caviar comes from? Check the bottom of the tin, the first 3 letters are in Latin and indicate the fish: Hus is Beluga, Gue is Royal Oscietra and Bae is Royal Siberian. The letters for the country are also there. IT & CH. So now you know…. Dessert didn’t feature caviar (and I can’t say that I wasn’t disappointed, don’t know how they would have done that!) 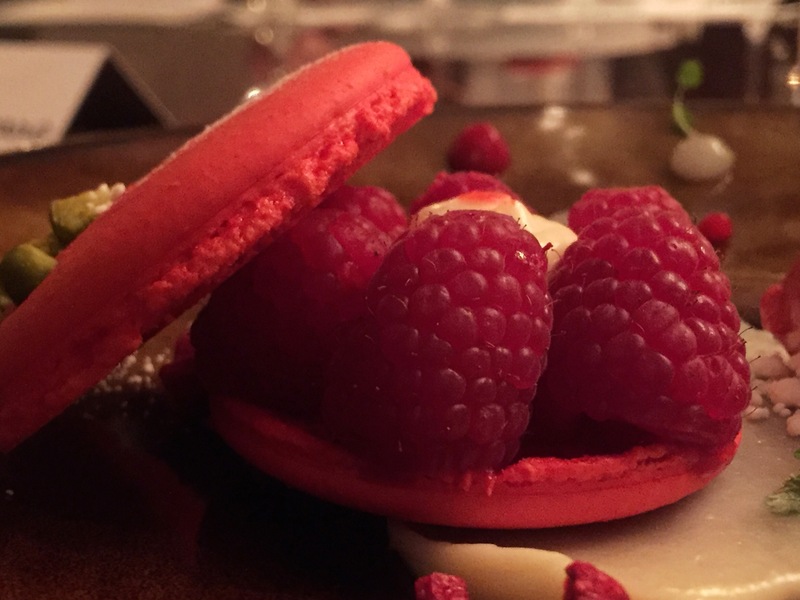 but was a very delicate dish of Ispahan macaroon with lychee garnache and raspberry sorbet paired with the D Rosé in magnum. What a match. The D Rosé is 50/50 PN/Chard, aged 5 years with 10% of the blend being still Pinot Noir to give it colour. The Rosé was very delicate and elegant and despite the fact that they say you should never have dry champagne with sweets, the two went perfectly well together. A delicious way to end the night.